You can now get some of Ntel's customised 4g enabled smartphone from any of their outlet. 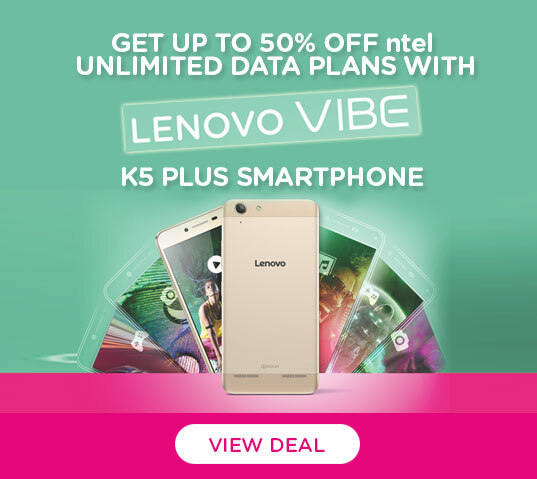 Ntel which promised few months ago that it will also be selling optional compatible smartphones alongside sim cards for those who are interested has started off with the lenovo 2010 and lenovo VIBE K5 Plus. Below are two of the available Ntel's exclusively customised smartphones and their specifications. Aside getting the devices at an affordable rate, you also get 50% off unlimited data plans.You can get any of them at Ntel Stores in Lagos and Abuja. The lenovo 2010 is a dual sim phone which has a 5.1" IPS display with a resolution of 480 x 854 pixels and a pixel density of 218 ppi. It is powered by Mediatek MT6735M quad core processor which is clocked at 1.3ghz and it also runs on Android version 5.1 lollipop. It has a total of 2.0gb RAM and a 16gb ROM which can be expanded through the sdcard slot with a max of 128gb sdcard. It has a 5mp front facing camera and a rear camera of 13mp. I think the turn off of this device will probably be the battery which is just a 3,000mah removable Li-Po battery. The lenovo VIBE K5 Plus is more of a middle range device which is pretty much better in terms of overall specification compared to the lenovo A2010. 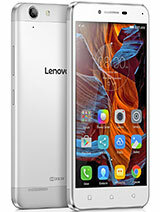 The lenovo VIBE K5 Plus has a 5.0inch display with a resolution of 1080 x 1920 pixels and a pixel density of 441 ppi. It also runs on Android version 5.1 lollipop. 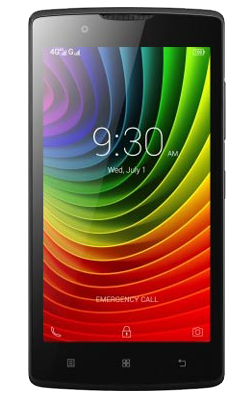 The lenovo is powered by Qualcomm MSM8939v2 Snapdragon 616 quad core processor which is clocked at 1.5 GHz Cortex-A53. It also has a total RAM of 2gb and a 16gb ROM which can be expanded with up to 32gb sdcard. It has a 13mp rare facing camera with flash led, auto focus, Geo-tagging, touch focus, face detection, HDR and panorama. It also has a 5mp front facing camera. It is packed with a Removable Li-Ion 2750 mAh battery. You can purchase any of the two phones at any Ntel store. For full list of all Ntel stores for both Lagos and Abuja resident, click on this LINK.